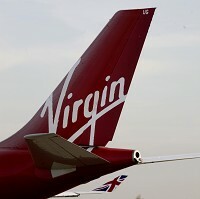 Virgin Atlantic has revealed an inventory of items, including odd things such as plastic pumpkins and an artificial limb, left on flights by forgetful passengers. Books are the most common items travel insurance holders forget to take along as they get off the plane, with Virgin finding around 12,000 of them every year. Airline staff also gather up around 10,500 pairs of glasses, while absent-minded passengers leave behind 5,000 mobile phones a year . According to Virgin Atlantic flight services manager Laura Hutcheson the forgotten items range from "the predictable to the quite unexpected". Among the more uncommon things was an urn containing ashes and an artificial limb which was eventually returned to its owner, she said. A wheelchair once found on board was traced back to actor Kevin McHale, best known for playing Artie Abrams in TV show Glee.